Among the many treats in store for us at the annual Hawke's Bay Readers and Writers Festival this year, we will get to meet two winners at the recent Ockham Awards. 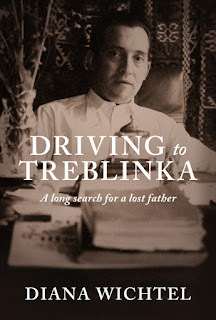 Diana Witchel's latest book, Driving to Treblinka is a memoir of discovery around her absent father, a Polish Jew who escaped the Nazi death camps by jumping off a train and hiding for the rest of the war. Diana was only 13 when her father failed to follow with her and the rest of her family emigrating to New Zealand, and she never saw him again. In Diana's family memoir she uncovers the man that was her father and the story of his family, many of whom were lost in the Holocaust. Diana will discuss what went into the writing of this award-winning book, in discussion with fellow memoirist, Helene Wong. 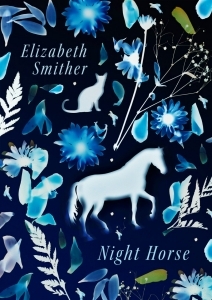 Elizabeth Smither is arguably New Zealand's grande dame of poetry with her award for Night Horse being her third NZ Book Awards poetry prize. She was the Te Mata Poet Laureate for 2001-2003 and has been honoured with the Prime Minister's Award for Literary Achievement (2008) and won the Sarah Broom Poetry Prize in 2016. At our festival this year, she will be talking to Peter Wells about the collective history to be found in family letters - sure to be a fascinating discussion.